When will the weekend start? Camp Squeah is 16km north of Hope, BC in the beautiful Fraser Valley. It is about a two-hour drive from Vancouver. Simply drive East on Hwy 1 (Trans-Canada Highway), use Exit 170 near Hope to remain on Hwy 1, and continue for about 16km. The address is #4-27915 Trans-Canada Hwy, Hope, BC V0X 1L3. Families will be allocated their own cabin or room. There are a few camping and RV sites available, so book in quick if you want one so you don’t miss out. If you are camping you must bring your own tent and equipment. For all accommodation options, you will need to bring your own bedding and towels with you. No meal is provided on Friday evening, so please bring a picnic or eat before you come. Alternatively there are eating places nearby in Hope, but they cannot be reached on foot from Camp Squeah, so we would recommend stopping off en route for those. On Saturday, breakfast, lunch and dinner will be served. Sunday it will be breakfast and lunch as we all be departing on Sunday afternoon. There is a swimming pool, a sports hall (gym) and plenty of space to enjoy the outdoors. I’m in! How do I book my place? 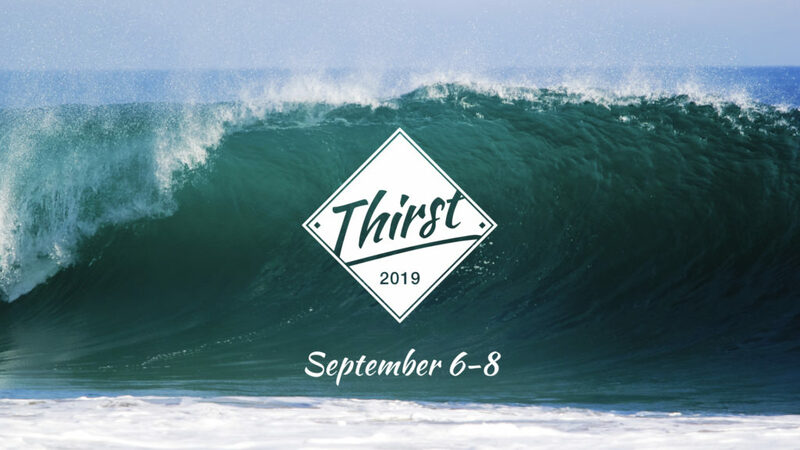 Thirst 2019 registrations are for those who are part of the Trinity Central family. Even if you have only recently started coming along we would love you to join us! Please follow this link which will take you to our ELVANTO booking system. You need to register and pay before August 20th so that we can give our final numbers to the camp. If you register before March 31st you will receive the cheapest rate for Thirst 2019. If you register after April 1st but before June 30th you will pay the standard rate. From July 1st you will pay the highest rate. Each Accommodation type is subject to availability. Prices are per person, including taxes. Food allergies will be catered for (please indicate on booking form) but not food preferences.